The week did not start out as promising. . . But the cherry tree has a blossom. . .
And that tells me to put out the hummingbird feeders. . . Spring is here in South Jersey. 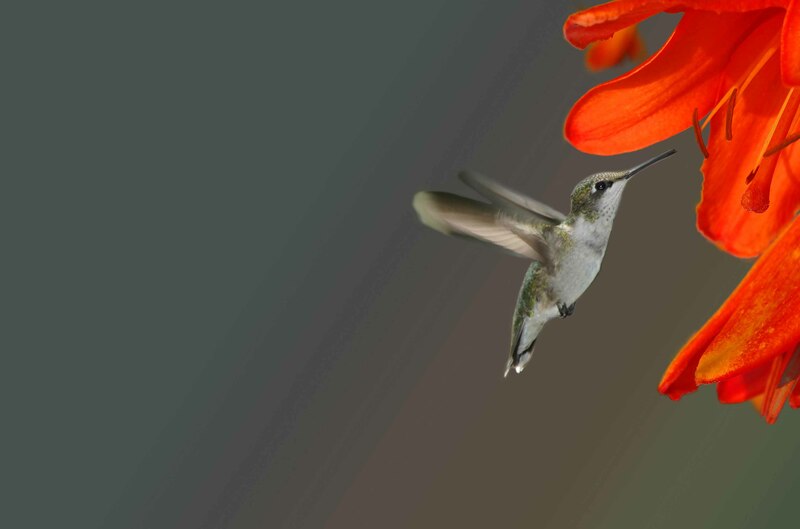 I have watched the hummingbirds for years now, and they still remain a mystery. They often seem bug-like, as they chase each other around, chattering, oftentimes spending more time defending the food than they spend eating it. 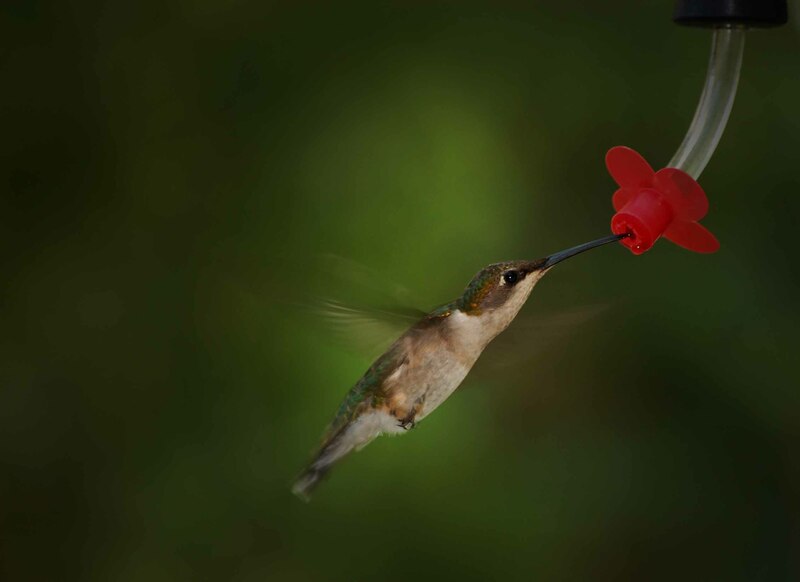 But I’ve also seen two hummingbirds rise slowly in flight, beaks touching, displaying what I can only call tenderness. 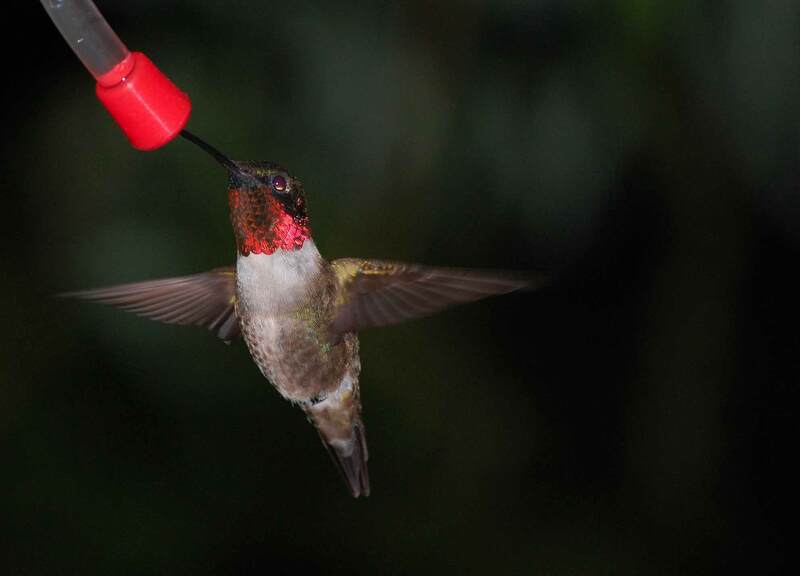 What I do know: The male Ruby-Throated Hummingbirds (the only kind in our area) arrive in my South Jersey backyard when my cherry tree begins to bloom. This year it was April 24th. The females arrive a week or so later. 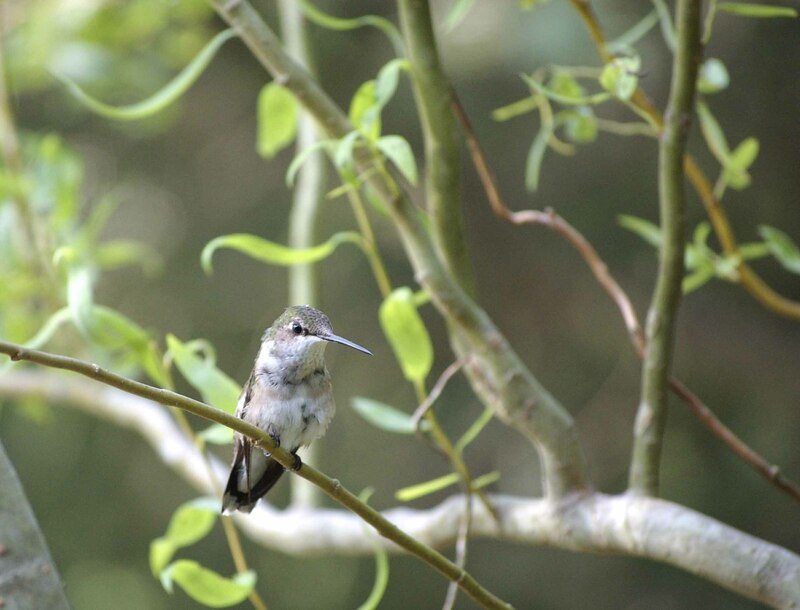 I tend to see single hummingbirds at my 8 to 10 feeders every 20 minutes during this time. Then they all go away. For two or three weeks in late May and early June, I rarely see them. My best guess is that they are nesting in the orchards down the road and are sticking close to the nests. By mid June, they are back, stronger than ever. One bird sits at every feeder, guarding it from any bird or bug who happens to wander by. I keep the feeders by my seating areas, and I am forever being buzzed by them. They seem to be more curious than wary. If you’d like to join the fun, get a small feeder. (A large one is only useful after you have lots of birds feeding – the nectar gets bad (cloudy) after a week or less.) Heat 1 cup water & 1/4 cup sugar in the microwave until it boils (3 minutes works for me). Stir to be sure it’s all incorporated. 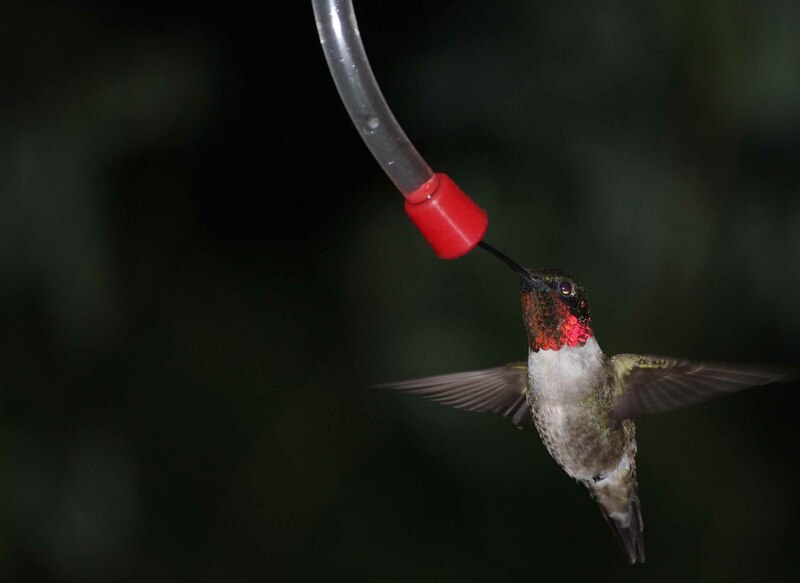 Let cool before filling the feeders. It’s official: spring has come to South Jersey.